In late September 2016 I gave a somewhat long presentation that lasted roughly four and a half hours. 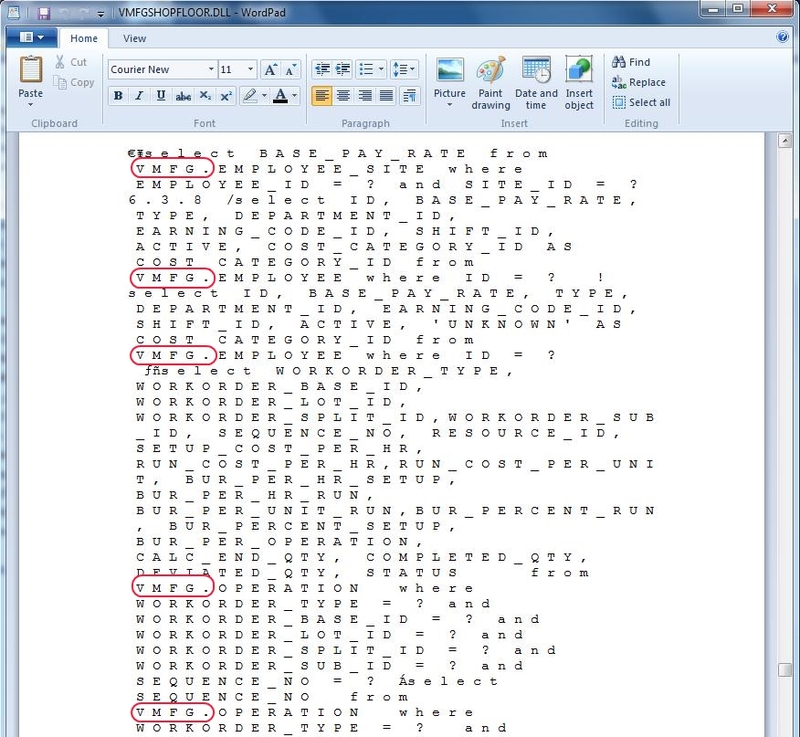 Surprisingly, the only glitch that I encountered during the live demonstration portion of the presentation was due to an apparent bug, at least in Excel 2010, that causes long object names (specifically checkbox names on the YearEnd tab) to be discarded when the .XLSX file format is used rather than the .XLS file format. This Huge Presentation required roughly two months to put together, and half of that time was spent updating the contents of a presentation that I originally gave in 2009 that originally required three months to assemble. I initially used Windows 10 and Excel 2016 for most of the updates, and then found significant compatibility problems when trying to test the live demonstration portion of the presentation with Windows 7 and Excel 2010… so, I spent literally days fixing the presentation contents so that Windows 7 and Excel 2010 were supported again. As far as I am aware, the live presentation was not recorded. 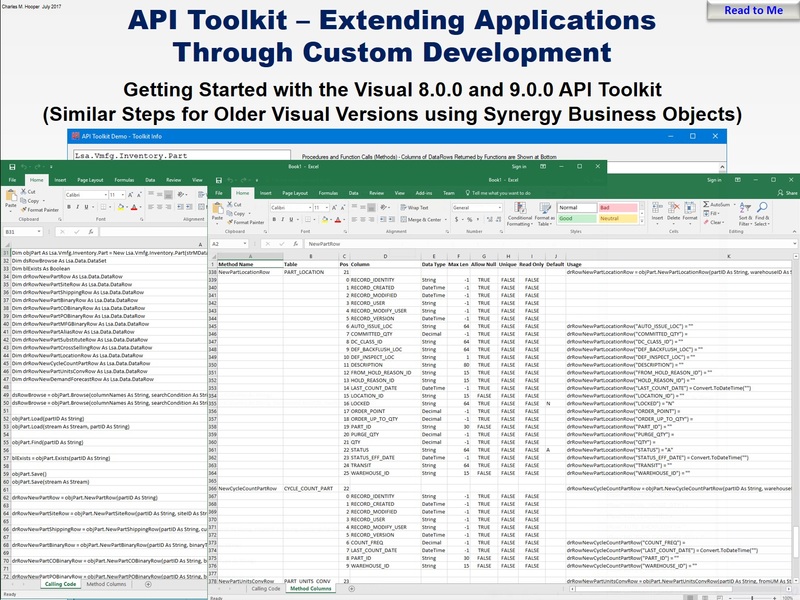 However, I managed to sneak out a copy of the slide deck of the presentation (210+ slides, most with an extensive Notes section); the full source code of the examples – some of which were written in C#, Visual Basic 6.0, VBScript, Excel macro language, or the macro language used by Visual Manufacturing; and more. The presentation and support files that I created as part of the presentation may be downloaded from Google Drive at this link. 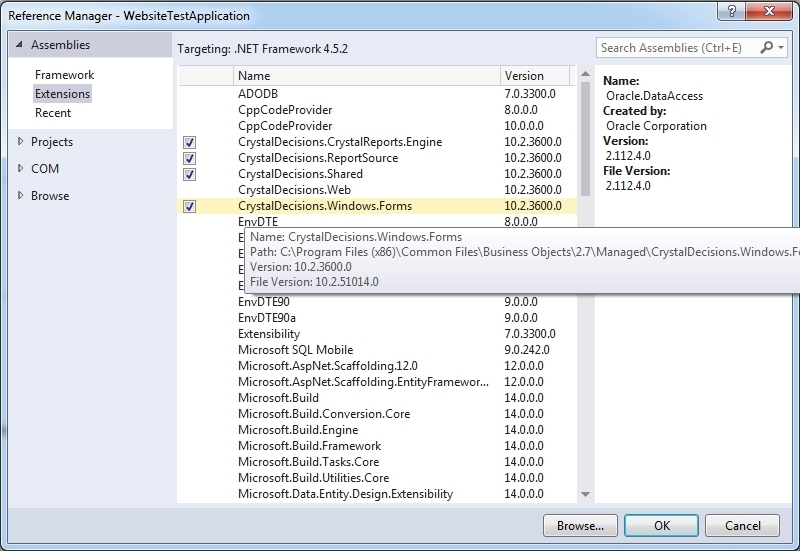 The Crystal Reports free runtime support files, which are required to create PDF versions of Crystal Report files from a VBScript, and within the C# IIS example project, may be downloaded from Google Drive at this link. On the Google Drive site, click the Download button to save the Visual8MacrosAndExcel.zip file to your computer. Once the download completes, extract the contents of that file to a new C:\Visual8MacrosAndExcel folder in the root of the C:\ drive (some of the examples specifically refer to this folder name – adjust the examples as necessary if you extract the files to a different location). Some of the examples may also require a C:\Visual folder to be created. So, what is in the presentation and support files? 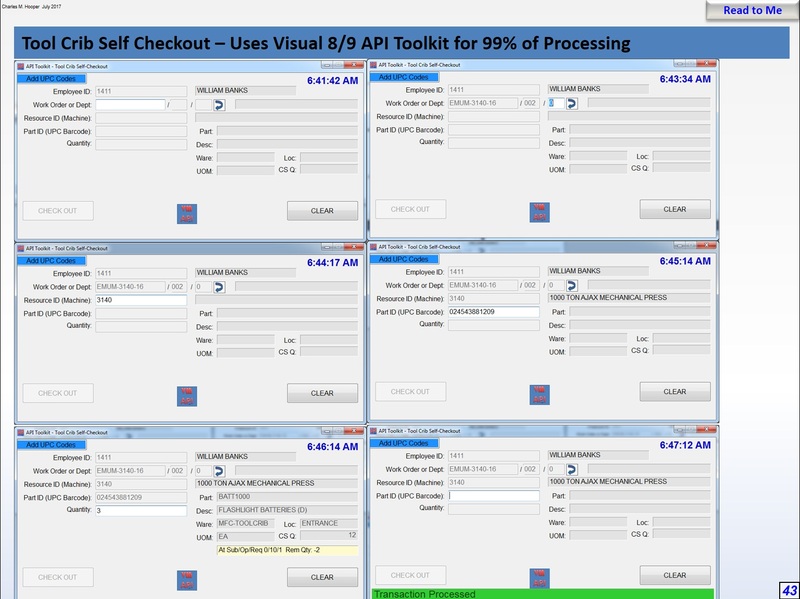 A huge collection of programming examples that are usable essentially out of the box for people using Infor’s Visual Manufacturing 8.0.0 with an Oracle Database backend. 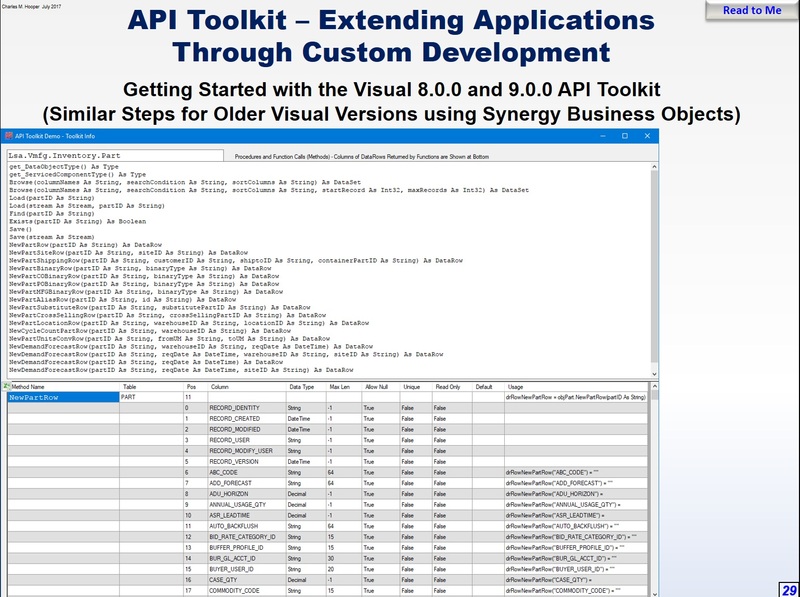 For people using older versions of Visual Manufacturing with an Oracle Database backend, take a look at the 2009 version of the presentation which may be downloaded from the VMIUG-TEC Yahoo group’s files area. For people using Visual Manufacturing 8.0.0 with a SQL Server backend, all I can say is good luck with converting the code examples – a few people have successfully converted a handful of the examples. For people who have no experience with Visual Manufacturing, but are interested in programming against an Oracle Database backend, the examples in the presentation could be very helpful. For people who are bored, just want to listen to roughly 4.5 hours of computer generated speech (likely sounds best on Windows 10), or suffering from severe sleep insomnia, download the presentation and click the Read to Me button on every slide in the presentation. 135+ VBScript or Visual Manufacturing macros. At least 13 custom helper EXE or DLL files, including a few to help specifically with minor cases of sleep insomnia, that may be used within VBScript, Excel macros, and other programs. 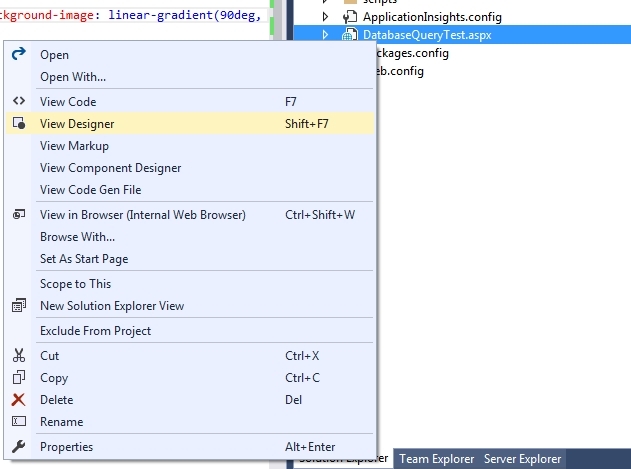 There is even a custom helper that allows inserting a web page into just about any program window. 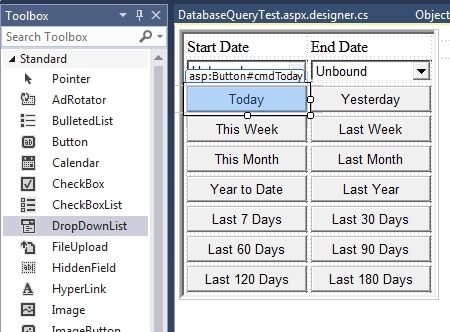 C# ASP.Net (IIS) project that allows selecting data from the database based on date ranges or other criteria, with the results returned to the client in web pages using HTML tables (Repeater control or the “hard way” with HTML table code created manually), or potentially sent to Microsoft Excel or PDF files (with Crystal Report files as the report source). 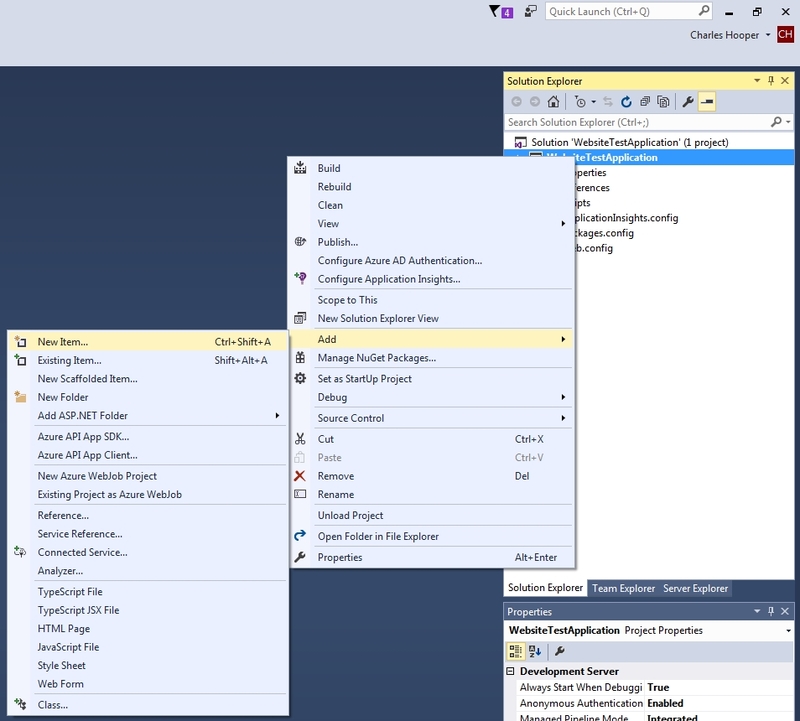 Potential solutions for various problems encountered when trying to use the C# project with IIS. Visual Manufacturing 8.0.0 “macro encyclopedia” – listing/detailing essentially every macro variable that is available in Visual Manufacturing 8.0.0. Executing Microsoft Excel macros, Excel functions, and using Excel user forms from within a VBScript or Visual Manufacturing macro. Printing a label to a Zebra printer that supports the ZPL language using a VBScipt file with the help of an Excel macro. Generating multiple Microsoft Outlook emails from a VBScript file that accesses an Oracle Database. Determining if the person logged into the computer is a member of an Active Directory group within a VBScript or Visual macro so that an action may be allowed or denied. Basics of writing SQL statements. Enabling the Developer/macro functionality in Microsoft Excel 2016. Methods of retrieving and using Oracle Database data in Microsoft Excel, and potentially pushing data back into the database. Executing Windows Management Instrumentation (WMI) calls in Microsoft Excel against the local computer and/or other computers in the Active Directory domain. For domain administrators, for example, this functionality would permit retrieving a list of every running process on every computer in the domain, and then selectively killing specific processes running on a specific remote computer (or starting a process on that remote computer). Extracting most or all of the icons that are built into Microsoft Excel. If you find the presentation or the support files helpful, feel free to leave a comment. If you need assistance with some of the examples, I will do what I can to help as time permits. If you need help converting the examples to work with a SQL Server backend… you are on the wrong blog – I cannot help with that conversion. 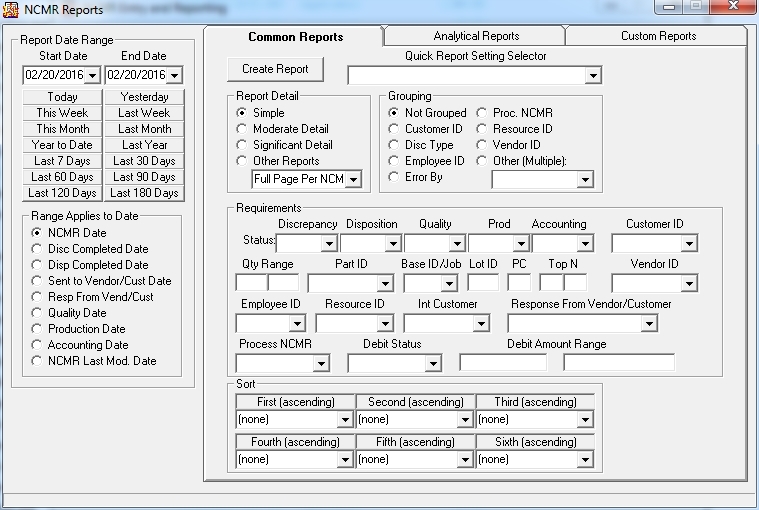 I have been working with an Enterprise Resource Planning (ERP) system platform for a bit over 16 years. Through various methods of observation, including the use of 10046 extended Oracle SQL traces, Process Monitor traces, Wireshark traces, and just general observation of the various components of the ERP system, I noticed a strong emphasis on code modularization. In some cases, excessive modularization that causes interesting patterns to appear in Oracle SQL traces and Process Monitor traces. 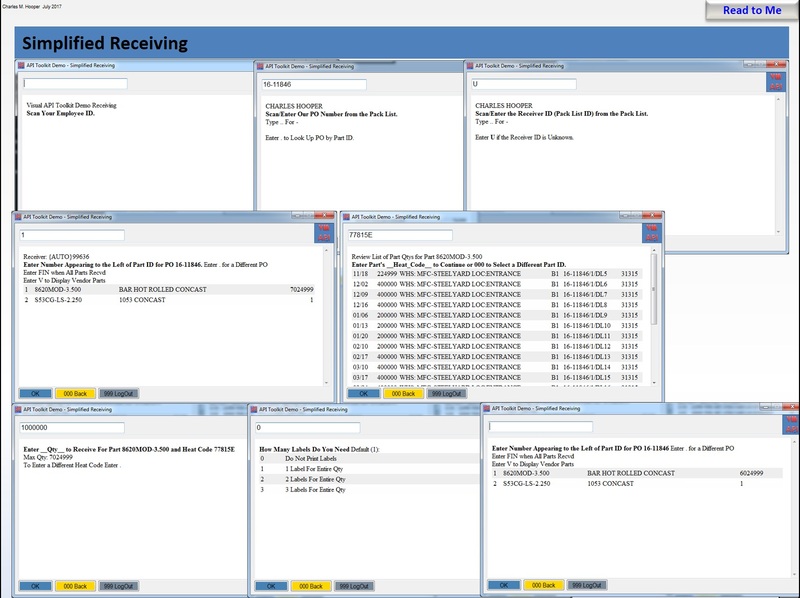 For example, a Process Monitor trace might show repeated patterns: access to the same Windows registry entries, followed by file path searches to access the same set of files, followed by communication with the Oracle Database server, followed by accesses to additional Windows registry entries, and additional files – this sequence of events might repeat hundreds, thousands, or millions of times as if the program were executing in a tight loop. I am currently in the role of a senior developer, with opportunities for Oracle DBA work, direct support of the same ERP system, Citrix Server support, and whatever else requires attention from a software perspective (plus I have the opportunity to work with a great team of fellow IT people and dabble a bit with the hardware side as well). This transition took place a couple of months ago, right around the time of one of my previous blog posts. 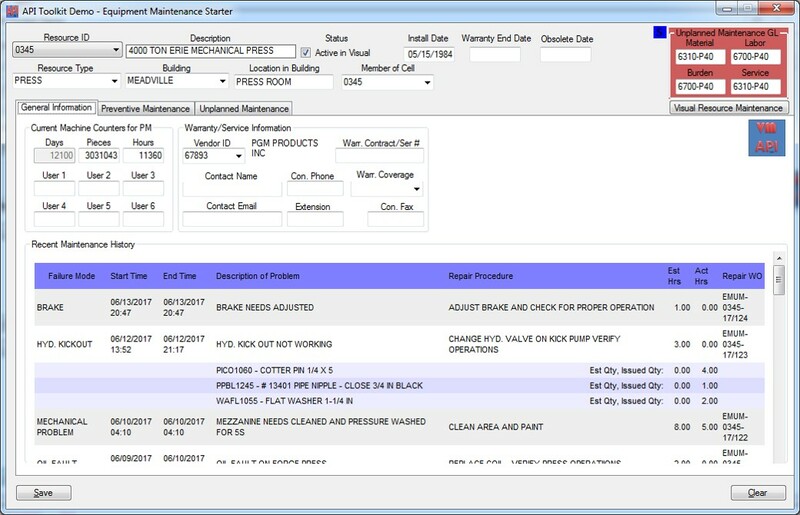 I have written a couple of interesting programs in the last couple of months, including a system for the Maintenance department to use to track planned and unplanned equipment maintenance, tightly integrating into the ERP system. I have also spent some time reviewing the programming source code and modifying programs written by a fairly well known consulting firm that specializes in writing custom software for the ERP system. While debugging another programming project written by the same consulting firm, I found an interesting example of brilliant programming style and crafting black boxes that left me wondering, is brilliant programming style and crafting black boxes more important than application performance? Is not inefficiencies in application performance a bug?
' Display the information for all the tubs.
' Add the root level node.
' Get the information from the database. strSQL = "Select Distinct TubID from MTS_TubAttributes"
'   Add this information to rsTub. strExpr = "TubID IS NOT NULL"
strSQL = "Select * from MTS_TubAttributes Where TubID = '" & foundRows(i).Item("tubID") & "' Order By AttributeID"
Is that brilliant style with beautiful black boxes? Create the treeview control nodes from the second recordset rows. Close the second recordset by passing it to another black box. Jump back to step 4 another 3,082 times. Now imagine, instead of the program running on a computer that is on the same local network as the database server (with a typical ping time of less that 0.001 seconds), what would happen if this program were run on a computer that has a WAN connection to the database server (let’s assume a 0.060 second, or 60ms typical ping time). In a best case scenario (which is not possible), just sending the 3,083 distinct SQL statements to the database to be parsed (without waiting for a recordset to be returned) will waste at least 185 seconds (3,083 * 0.060 = 184.98), even if it takes the Oracle Database server 0.000000 seconds to hard parse each of the 3,083 unique SQL statements. That is a fantastic way to look busy without actually completing much, if any, useful work. Dim strLastTub As String = ""
strSQL = strSQL & "  ATTRIBUTEVALUE"
Did the above code change result in a performance improvement? The client computer (which is a bit slow), completed the above procedure in roughly 5.2 seconds, a pretty healthy improvement from the original 21.5 seconds observed with the original code. The result would have been even more impressive running over a WAN connection that has a 0.60 second (60ms) ping time – the 184.98 seconds wasted just sending the 3,083 distinct SQL statements to the database to be parsed (actual execution and retrieval of the resultsets would have significantly added to that time) was completely eliminated, and properly setting the array fetch size (rather than leaving it set at the ADO default) would further enhanced performance over the WAN connection. I then re-timed the execution of the modified procedure – it now completes in less than 0.2 seconds. With that in mind, on this particular computer populating the treeview probably takes about 4.9 seconds to complete (4.9 + 0.2 seconds is within 0.1 seconds of the measured time for the original execution of modified procedure) regardless if the code is running in the original unmodified procedure or my modified version of that procedure. If we subtract out the uncontrollable treeview update time (there is a way to improve this performance further), then the unmodified procedure completes in 21.5 – 4.9 = 16.6 seconds, while my modified version of the same procedure completes in less than 0.2 seconds, so an actual 83 factor improvement when the program is run on a computer that is located in the same LAN as the Oracle Database server. Something is bugging me, but it is not this procedure’s performance problem any longer. Thoughts? Is excessive code procedure modularization a goal to achieve? Is excessive code procedure modularization something to avoid as much as possible? Or is there a happy medium (a play on words here, using this definition: a person claiming to be in contact with the spirits of the dead and to communicate between the dead and the living) to the headache that excessive code procedure modularization seems to cause for me? I have been experimenting a bit with ASP.Net, having used classic ASP (with VBScript) for generating various web-based reports somewhat extensively more than a decade ago. 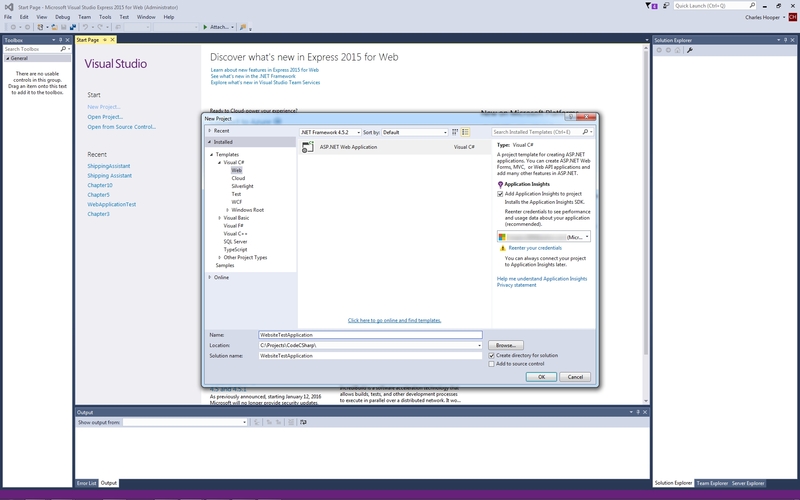 While before I used little more than Microsoft’s Notepad application and occasionally Microsoft FrontPage for HTML syntax verification, the development environment that I have been using for ASP.Net is the free Visual Studio Express 2015 for Web development environment. To say that the development approach is different is a bit of an understatement, of course some credit is due to the transition from VBScript to C# (or its close cousin VB.Net). 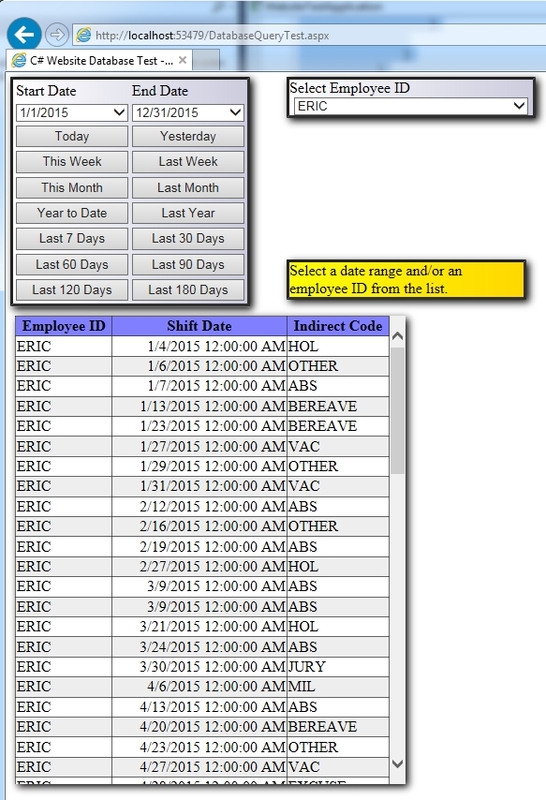 The above script creates a table with 3,000 rows, randomly assigning employee names and different attendance absence codes to each of those rows. The goal of the sample project is to allow a user of the web form to make a date and/or employee name selection, and then have the matching rows from the database table displayed in a HTML table on the web page using alternating colors for each table row. There are of course potential areas of improvement, leaving open the possibility of a follow up article (and an opportunity for code improvement suggestions from readers of this article). 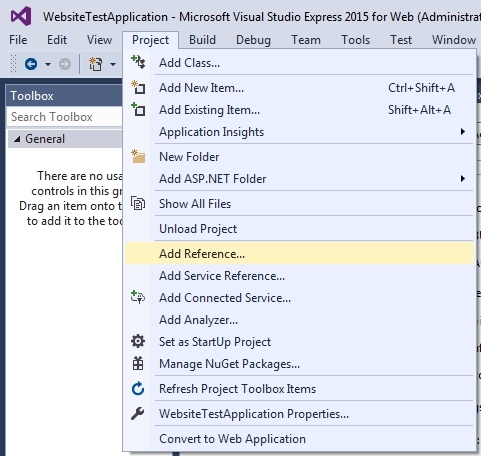 To start, we need to create a new project in Visual Studio Express 2015 for Web (the directions should be similar for the full version of Visual Studio). 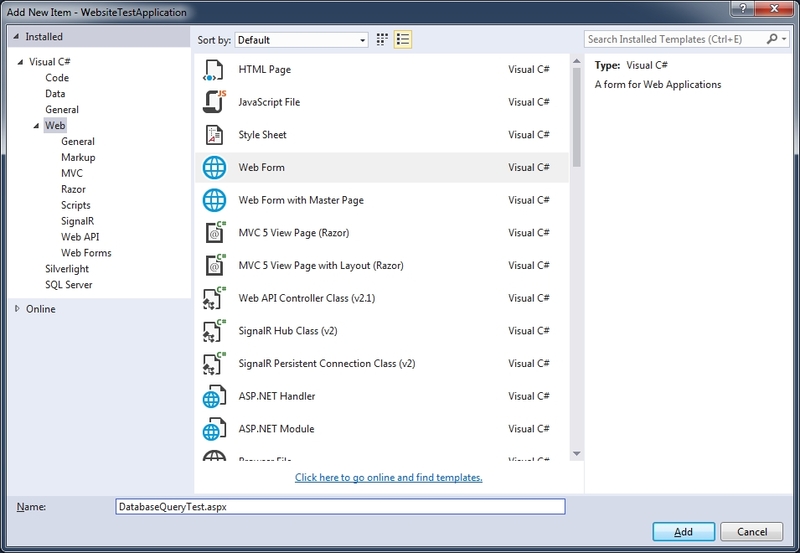 From the File menu, select New Project… Under the Templates heading, expand Visual C#, then select Web. Give the project a useful name (I named the project WebsiteTestingApplication), select an appropriate parent folder for the project (I selected C:\Projects\CodeCSharp\), make certain that there is a checkmark next to Create directory for solution, then click the OK button. Next, select the Empty template (if not already selected), make certain that Host in the cloud is not selected, then click the OK button. Press the F5 key again, and the blank web page should appear without complaint. style="position:absolute; max-width:275px; max-height:400px; left:5px; top:5px; border:inset; overflow:auto; background-color:#ffffff; background-image: linear-gradient(90deg, #ffffff, #ccccdd); box-shadow: 3px 3px 12px #010101;"
The buttons appearing on the page do nothing yet, so we need to create the C# code that is associated with the buttons. 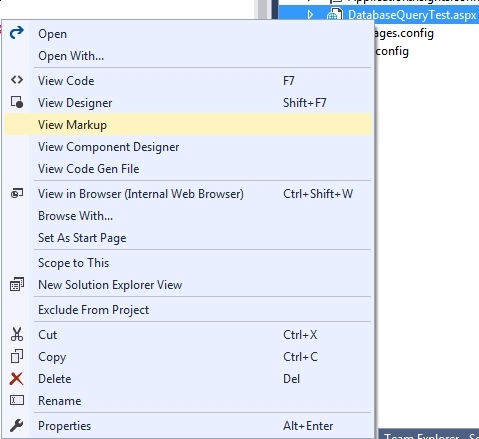 Double-click the Today button to create the generic code that is associated with that button being clicked. When the Today button is double-clicked, a new tab named DatabaseQueryTest.aspx.cs will open next to the existing DatabaseQueryTest.aspx tab. 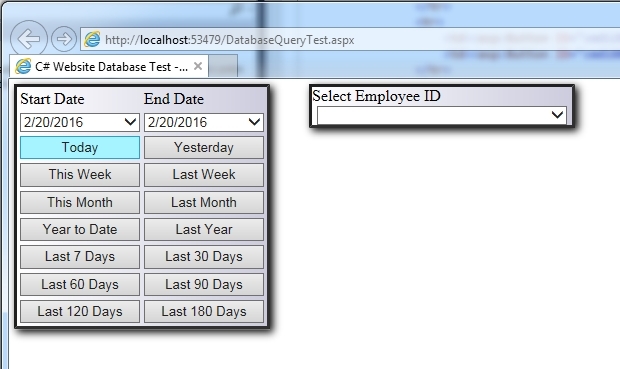 Switch back to the DatabaseQueryTest.aspx tab and double-click the Yesterday button to create the generic code that is associated with that button being clicked. Repeat this process for the remaining buttons, working from left to right, top to bottom. 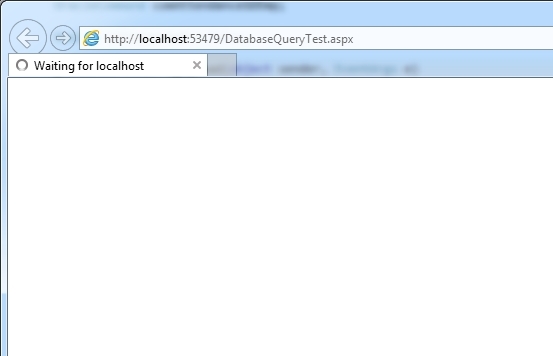 // Web page does not show the correct information until the next postback? There probably is a good method to recover from this problem, but as of yet I have not found that method. 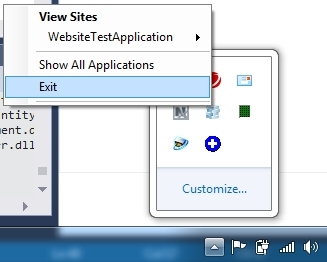 If you encounter this problem, find the IIS Express icon in the task tray, right-click that icon, and select Exit. 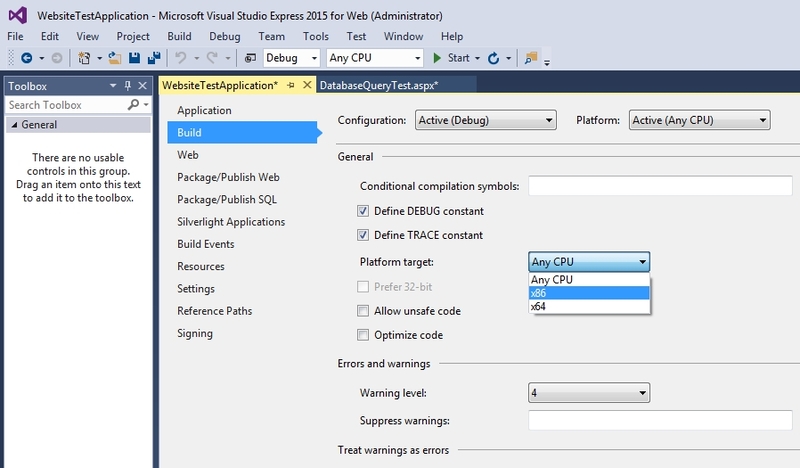 I found that I then had to close and reopen the project in Visual Studio Express. I will likely add additional information to this article in the next couple of days – it appears that I may have a way to post the HTML code that was removed by WordPress, and I will try to add additional explanation for the reasoning behind the C# code in the Page_Load procedure. What is the challenge? How might you improve this sample project to do something interesting with the project? In September 2014 I posted an article on this blog where I mentioned that I am the IT Manager and an Oracle Database administrator at a company that specializes in welding and machining very large metal parts – in the article I attempted a bit of humor while trying to explain a few items. I have a small confession to make, I have been the only IT person at the company for the last 38 months. As you might imagine, working 11+ hour days for six years (yes, six years is longer than 38 months) was nothing short of a never ending fun experience, and sometimes seemingly without an ending. In the last month I put together a somewhat interesting document. As some readers of this blog probably know, I have read a few books about Oracle Database, programming, Microsoft Exchange, server administration, and a few other topics (my personal technical book library six years ago), and have published a few articles about some of those topics on this blog. My Oracle Database knowledge is reasonably good, I suppose (after probably reading roughly 30 books on the subject and contributing to another), but that is only one piece of a complex jigsaw puzzle of knowledge in the IT field. So, what is the interesting document that I created as I neared by 16th anniversary with the company? What are the skills required for the job of IT Manager and Oracle DBA, or what exactly does my job encompass (since it is easy to assume that I am just the person that hands out the printer ink cartridges when the change me light flashes 🙂 ). I am not yet sure what exactly the interesting document will be used for, but it might be used for ISO documentation purposes. I split the document into two sections: skills for the person who is able to sit upright in a chair, successfully breathe at regular intervals, and occasionally blink once for no, or blink twice for yes (Essential Skills); skills in addition to the essential skills that are actually needed for the person with the role of IT Manager and Oracle DBA at the company (Additional Skills). Phone system: Mitel 5000 with digital, analog, VOIP circuits, paging, and fax reception (note that the Mitel 3000 series is significantly different, while the old Inter-Tel phone system shares similar programming configuration options). Person should know how to change phone programming to change names, reset passwords, reset voicemail boxes, punch down digital and analog phone circuits, proper phone system shut down procedure. 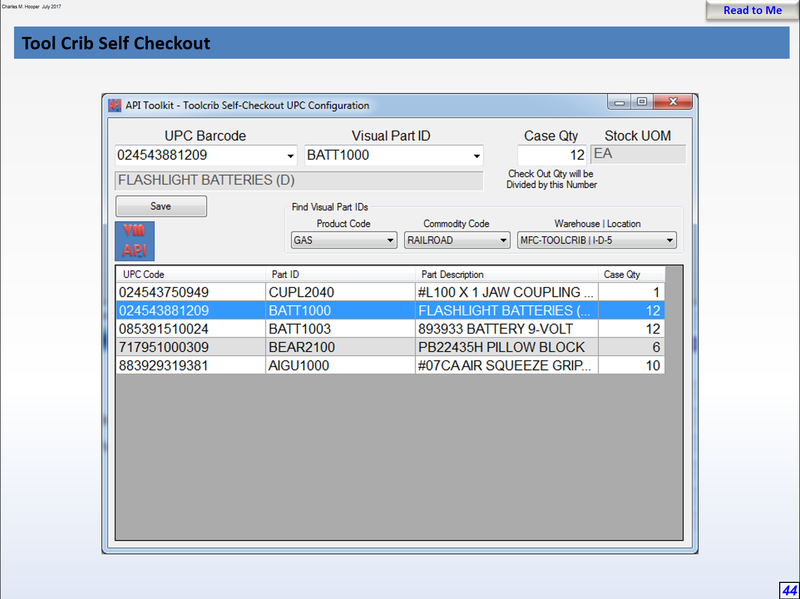 Barcode: Previously worked with or created code 3 of 9 barcodes, code 128 barcodes, and UPC barcodes. Experience with Symbol, Motorola, or Zebra mobile computers (primarily MC3090 and MC3190). Printer support: Basic maintenance and troubleshooting of various Dell, Zebra, Canon, Ricoh/Lanier/Gestetner (advanced maintenance covered by printer repair company) printers, and Xerox (advanced maintenance covered by printer repair company) large format plotter/scanner. Wiring: Cat 5e and Cat 6 network cable wiring and termination, serial cable wiring, phone wiring into model 66 blocks, fiber optic connections with pre-made cable. Help Desk: Capable of translating complex computer terminology into common English, able to walk end users through procedures over the phone and in person, emphasis on customer service (speed of response and problem resolution). Firewall and VPN: Familiar with SonicWall firewall and VPN configuration. EDI: Experience with TrustedLink EDI and common EDI documents (810, 830, 850, 856, etc.). Network: Experience managing gigabit network switches, wireless access points, and VLANs. Database: Person has extensive Oracle performance tuning experience that is relevant to databases without the Tuning or Diagnostic packs. Person has achieved Oracle Certified Master status (Oracle Certified Professional is a very light-weight certification by comparison), person is a member of the OakTable Network, or person is an Oracle Ace Director. Email: Person planned and executed an upgrade from Microsoft Exchange 5.5 to Exchange 2007 or later, or Exchange 2007 to 2013 or 2016). Person has experience with spam filtering products such as SpamStopsHere or MessageLabs. Person has written programs to submit email using an SMTP interface. Experience working with self-signed security certificates and third party certificates. ERP: Experience upgrading Visual Manufacturing, experience utilizing Infor’s COM Object and/or Infor’s API Toolkit (for programmatically creating transactions in Visual), experience with the underlying database object model used by Visual Manufacturing (knowledge of specific tables, columns, indexes, security model). Experience filing support requests with Infor. Phone system: Experience with T1 DCS and T1 PRI circuits (type of T1 circuit currently used at K&M), extensive programming and diagnostic experience with a Mitel 5000 PBX including troubleshooting of offsite voice over IP phones that traverse firewalls. 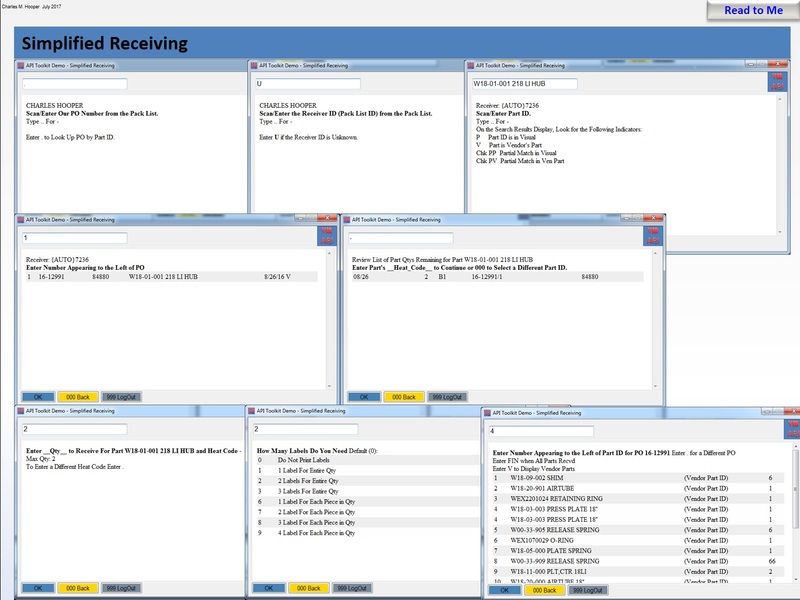 Experience creating and/or maintaining SMDR call logging through TCP/IP and/or serial connection. Servers: Extensive experience administering and configuring Windows servers; experience with group policy in Active Directory; experience with a variety of Linux based systems (primarily Red Hat derived); experience with Synology NAS units (configuring as domain members, network time sources, Windows SMB shares, FTP targets, Nagios network monitoring); experience with WordPress configuration, utilization and security (for the K&M website); experience with SSH (TelNet, TightVNC, Putty, Remote Desktop, GoToMyPC); experience specifying server hardware configurations (including RAM, RAID levels, operating systems, redundancy); experience diagnosing and repairing Dell server hardware. Experience maintaining four hour support contracts for servers. Experience configuring Fail2Ban, and software firewalls (iptables, firewalld, Windows firewall service). Desktops: Extensive experience troubleshooting hardware problems (replace bad power supply, identify faulty motherboard, upgrade memory, replace other components including hard drives and DVD drives). Troubleshoot attached devices including check scanners, postage meters, printers, mice/keyboards, wedge barcode scanners. Clean computers of spyware and viruses with and without the assistance of virus/spyware scanning software (educate users about virus warning signs to avoid infection). Printer support: Program printers for network connectivity, and install as network managed printers controlled by Windows Server 2012. Perform diagnostics and repair of printers, copiers, and all-in-one devices that are not under warranty (such as replacing the print head in Zebra printers or installing maintenance kit parts). Manage printer ink and toner supplies with predictive re-ordering of supplies. Wiring: Understand when fiber optic and/or shielded cable must be used rather than typical Cat 5e or Cat 6 cable, with the ability to terminate fiber optic cables. Experience wiring and troubleshooting paging amplifiers, page delay units, and speakers. Help Desk: Experience converting vague support requests into actionable assistance. Capable of providing precise and fluid written and verbal responses. Able to proactively train fellow employees. Able to write clear documentation for procedures and custom computer programs. Firewall and VPN: Experience configuring and maintaining SonicWall NSA series firewalls: redundant Internet routes with fail-over, multiple static IP addresses per port, firewall log monitoring (to identify attempted hacking attacks and Internet stability issues), opening and restricting ports or IP addresses, etc. Experience configuring and maintaining SonicWall SSL VPN servers: authentication through Active Directory attached RADIUS server, creating client-side connection and disconnection scripts, establishing remote connection policies through Active Directory, troubleshooting remote connectivity of computers and IP phones. EDI: Experience using Trusted Link EDI software to communicate with remote EDI servers using the SFTP protocol and WinSCP scripts. 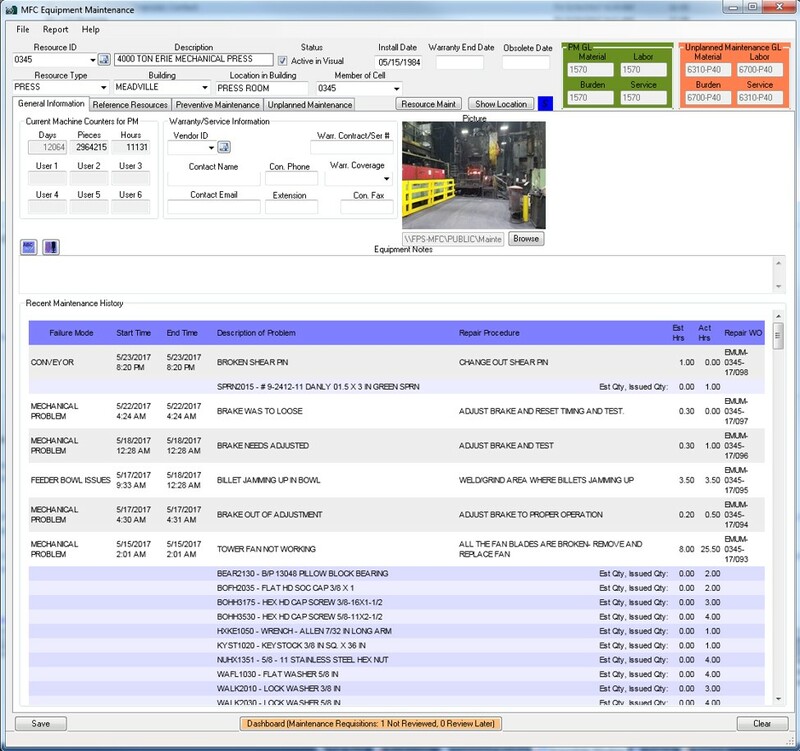 Experience creating and maintaining export and import functionality between Visual Manufacturing and the Trusted Link EDI software using map flat files, raw EDI, and custom developed software that reads and creates transactions in Visual Manufacturing. Experience scripting in Trusted Link EDI. Experience programmatically printing EDI documents to PDF files (using BlackIce print driver software) with filenames that are derived from the contents of the EDI printed documents. Network: Experience diagnosing and resolving connectivity issues using Wireshark (or similar packet capture tool), experience with various command line diagnostic utilities (nslookup, netstat, nbtstat, dig, traceroute). Experience recommending and configuring core and remote network switches, as well as troubleshooting managed and unmanaged network switches and routers (HP, Dell, and Cisco-Linksys). Experience ordering, configuring, and supporting Internet access delivered through fiber optic, cable TV providers, DSL providers, and wireless providers. Experience working with multimode fiber optic with GBIC and stand-alone fiber to RJ45 converters. Experience working with the Nagios network monitoring utility (compiled to run on Synology NAS units). Inter-departmental support: Able to assist engineering with reconfiguring Fanuc and Tosnic CNC controls, and troubleshoot serial cable connections to support GCODE program transfers with CNC machines. Able to understand basic procedures of Quality, Engineering, Purchasing, and Accounting to facilitate process and efficiency improvements. No, my job position does not require that I be an expert at everything that I touch, so long as I never make a mistake at anything that I touch… ORA-00060: Deadlock Detected. Since October 2015 I have been fighting with an application programming interface (API) that works with an enterprise resource planning (ERP) system. 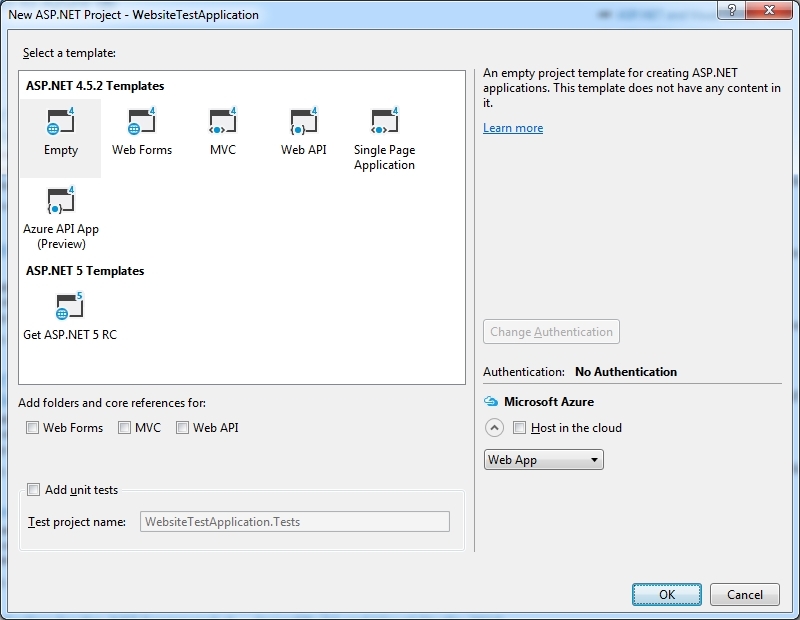 The API, with uses Microsoft .Net 4.0 or higher, is intended to simplify the process of automating the creation of various types of documents within the ERP system. For example, the API could be used to quickly create 1,000 new part numbers in the ERP system, using an Excel spreadsheet as the source data (a custom program would need to read the Excel spreadsheet and plug that information into the formatting syntax expected by the API). The API could also be used for creating work orders in the ERP system which would then be used to produce the parts, receive purchased parts into inventory, issue parts in inventory to work orders, receive completed parts into inventory, create shipping documents to send the parts to customers, generate invoice records to accept payment from customers, and a variety of other types of documents. 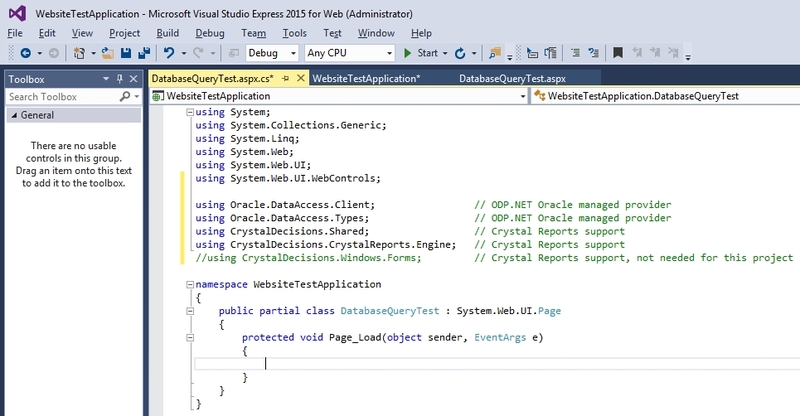 I have been using Microsoft C# 2015 to interface with the API, and the ERP company helpfully includes a standalone executable (.EXE) that is able to test the API to make certain that all is working well with the API communication to the Oracle database through the Oracle Managed Data Provider through .Net. This API replaces an older API that exposed a COM interface, which I previously used extensively to automate the creation of various types of documents. Why have I been fighting with the application programming interface for this ERP system? To err is human, but two errors does not compute. While trying to determine how to use the API, I copied a code sample from the API documentation into a new project in Microsoft C# 2015. 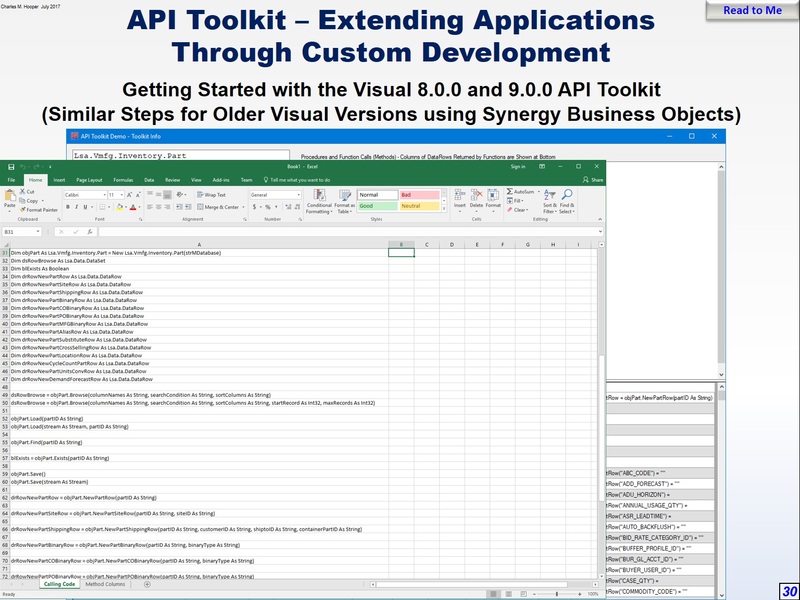 The documentation indicates that the methods for using the API are similar to those that I used in the older API that exposed a COM interface, so it appeared that the process would be relatively easy transition to the new API. That was my thought, any way, until I attempted to run the program. 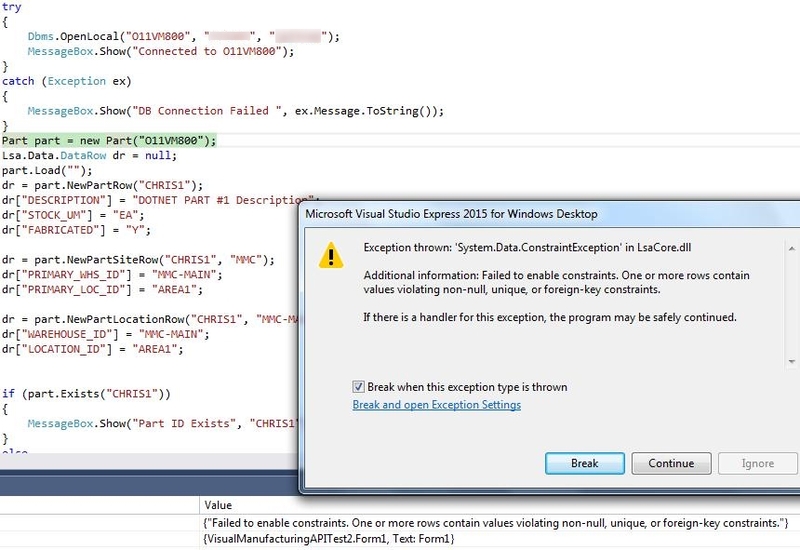 A System.Data.ConstraintException in LsaCore.dll, Failed to enable constraints. One or more rows contain values violating non-null, unique, or foreign-key constraints error. Ouch, what did I do wrong? I was just trying to create a new part number in the database, and the exception was thrown before any part specifications were provided. Maybe it is because I am trying to develop on a 64 bit computer, or maybe there is some missing Windows registry entry that I still need to create? That is interesting. 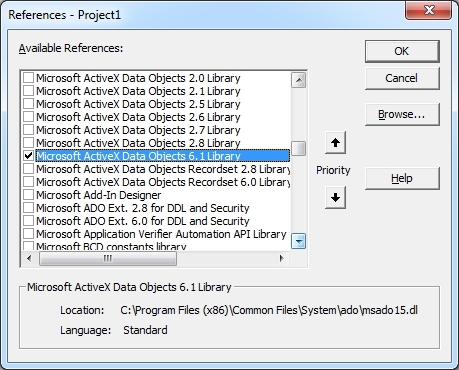 There is no column named DB_VERSION in the APPLICATION_GLOBAL table, but there is a column named DBVERSION. Maybe that is the cause of the Failed to enable constraints error? 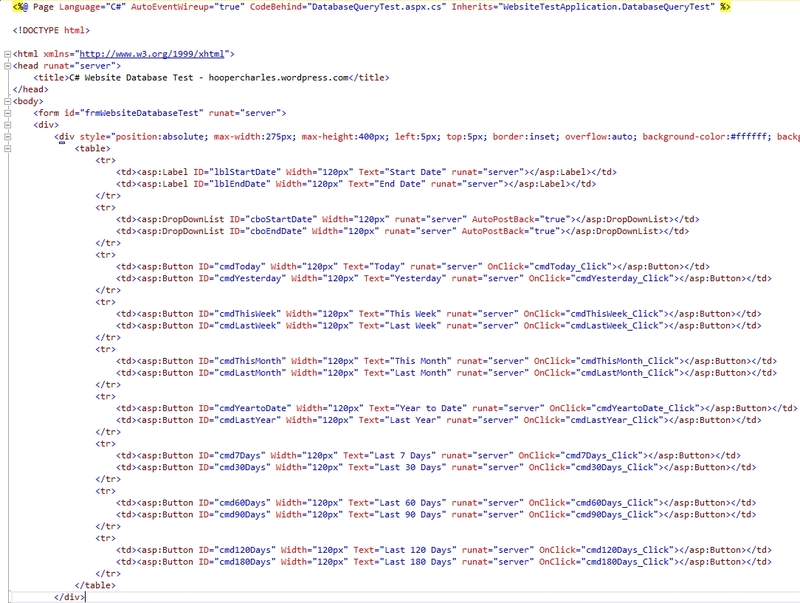 After double-checking the table definition, the column is in fact supposed to be named DBVERSION, not DB_VERSION, so maybe the programmer that created the API DLLs made a typo? “Dataspace name VMFG not found” – at least there is some level of consistency. I see VMFG. 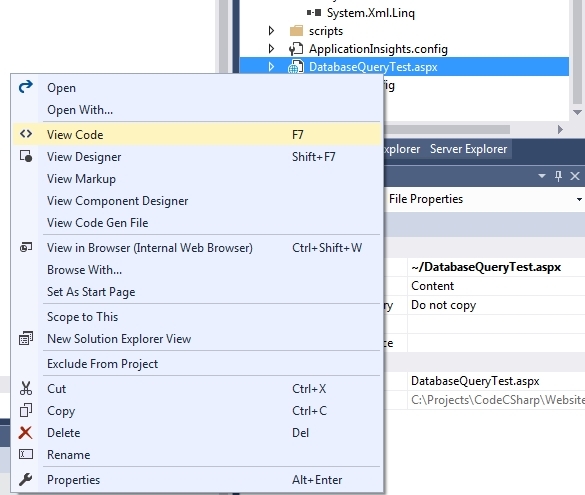 prefixing what appears to be every table that is in a SELECT type SQL statement within the DLL. 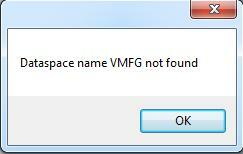 After checking with one of the most experienced ERP support people at the ERP company, the “Dataspace name VMFG not found” error was a complete mystery. No one in support had ever seen that particular error message. The “Failed to enable constraints. One or more rows contain values violating non-null, unique, or foreign-key constraints.” error that I saw earlier was also a complete mystery at that line in the C# test code. Wow! I asked the experienced ERP support person if any of the above makes sense. I am not sure if I ever received a response to that question. I then created a folder named Trace in the root of the C: drive (note that if UAC (User Access Control) is enabled, it may be necessary to grant everyone full permissions to that folder if it is located in the root of the C: drive). The generated trace files initially did not seem to provide any additional insight into the problem beyond what was found in the 10046 trace files. Interesting, and when I pointed out those two parse errors (again, along with the other two that I mentioned earlier) to the people on the video conference call, no one knew why those SQL statements were attempted to be executed. 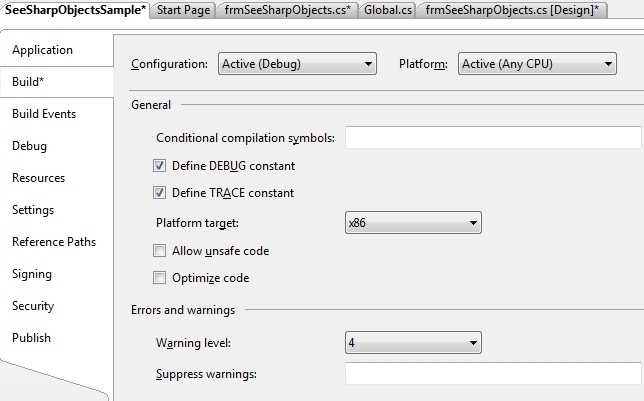 Along with the Process Monitor trace, the senior support person sent a copy of their sample database to me, exported using Datapump, so that I could try to understand just what was corrupt on the essentially barebones Windows 7 32 bit computer. After finding that the ERP company’s sample database worked fine with my essentially barebones Windows 7 32 bit computer, I made a somewhat important conclusion. The “Dataspace name VMFG not found” error is bad news, essentially it means that the API does not think that it is accessing a Visual Manufacturing database. 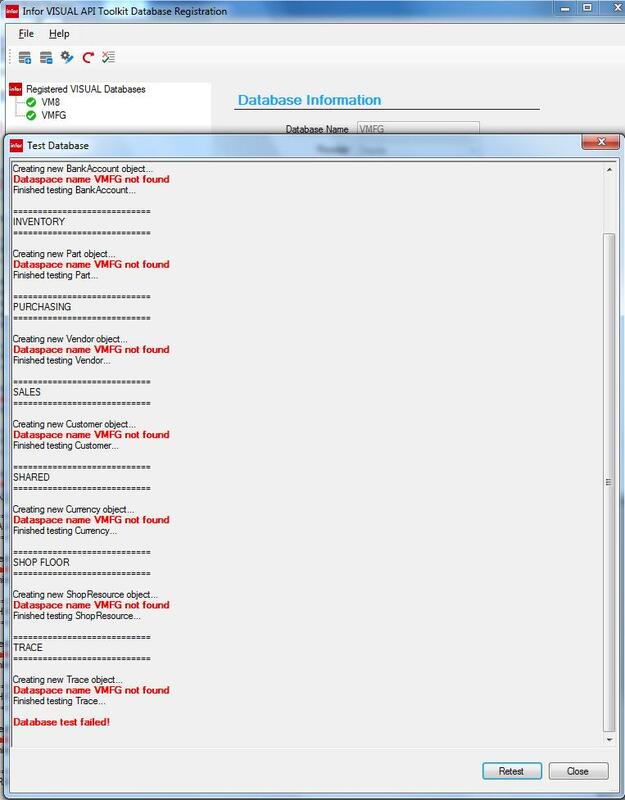 The DB_VERSION queries against the APPLICATION_GLOBAL table and VQ_APPLICATION_GLOBAL are apparently supposed to fail! But why could someone on that 2.5+ hour cross-continent video conference call not come to the same conclusion? I know that two of the people on the conference call have been heavily involved with the ERP system development for well over 15 years, so the people are undoubtedly very knowledgeable about the subject. 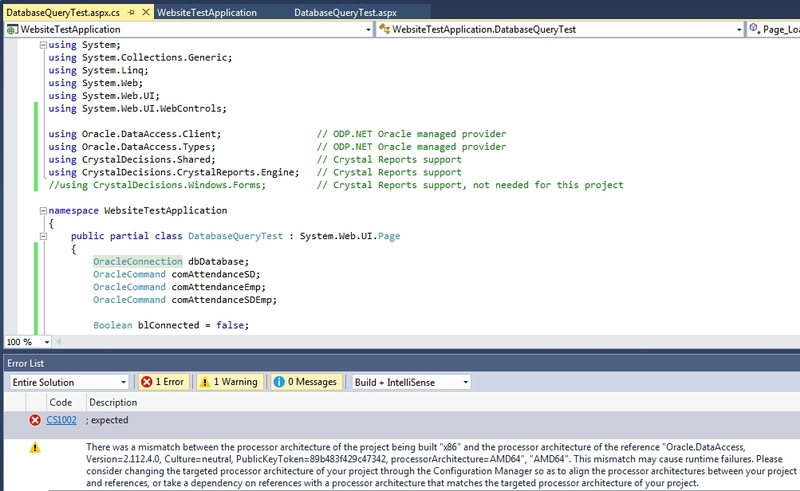 After dropping the virtual column that I created, I then repeated the C# test program’s tests with the two databases. 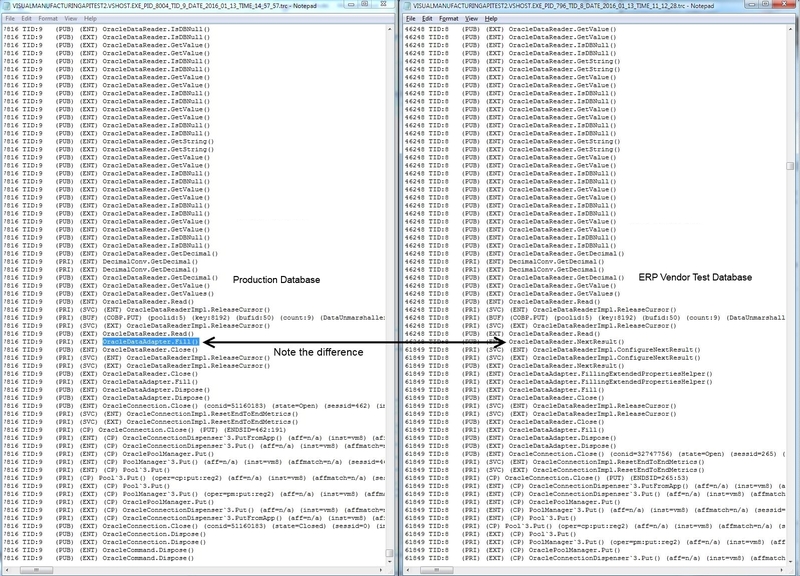 Comparing the trace files for my company’s database and the ERP company’s sample database, I found a difference (see the picture below – click for a larger view). "% of Plate","Heat Code/Material","Customer ID","Gross Weight","Vendor","Price Each","Surcharge","Freight","EAU (Cpy to Planning Tab)","FAB/COMB"
"% of Plate","Heat Code/Material","Customer ID","Gross Weight"
"% of Plate","Heat Code/Material","Customer ID","Gross Weight","Vendor"
I found that if the PART_UDF_LABELS, VEND_UDF_LABELS, and CUST_UDF_LABELS columns contained up to 64 characters, the ERP company’s API test program completed the tests successfully. 65 characters caused the API test program to fail the tests. But, what about that column (PLM_URL) that permits up to 2,000 characters to be stored, surely that column cannot have a 64 character limit for companies that need to automate document creation through the ERP company’s API? 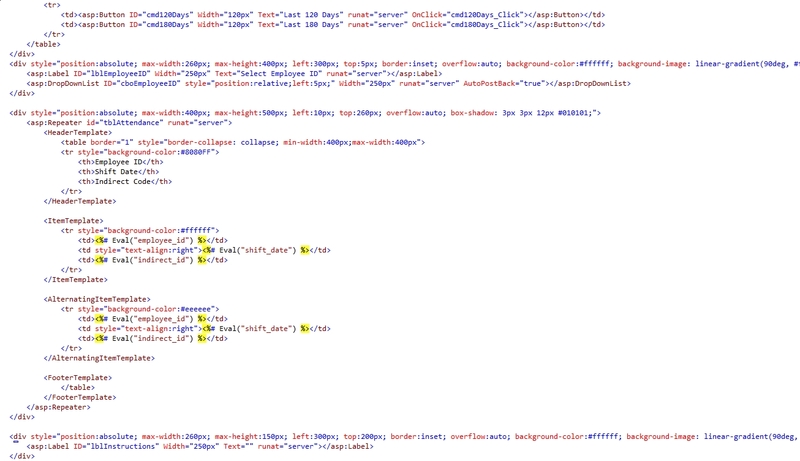 Yep, more than 64 characters in that column will also cause the API tests to fail. To err is human, but two errors does not compute (or was it three errors identified in this article). In my opinion, Microsoft mutated the clean, quick development programming language in Visual Basic 6.0 with the release of VB.Net. A decade ago I had to write a program that would run on a Symbol MC3090 handheld computer with built-in barcode scanner (Symbol was later acquired by Motorola, part of Motorola’s operations were acquired by Google, and apparently Zebra is the current owner of this technology). The MC3090 supported programs that were written in the .Net languages, such as VB.Net and C#, but not the eVB language (language was similar to VB 6.0) that was supported on the earlier Symbol PDT8146. After a bit of head scratching, I wrote the program in VB.Net 2005. Not only did the VB.Net solution work, it was also significantly more stable than the eVB developed solution on the PDT8146 (the hardware change may be the primary reason for the change in stability). I still found VB.Net’s language to be cumbersome to use compared to Visual Basic 6.0 (which is very similar to the macro language in Microsoft Excel, Access, PowerPoint, Word, and Outlook) and VBScript (which is the macro language used by the ERP system where I work). 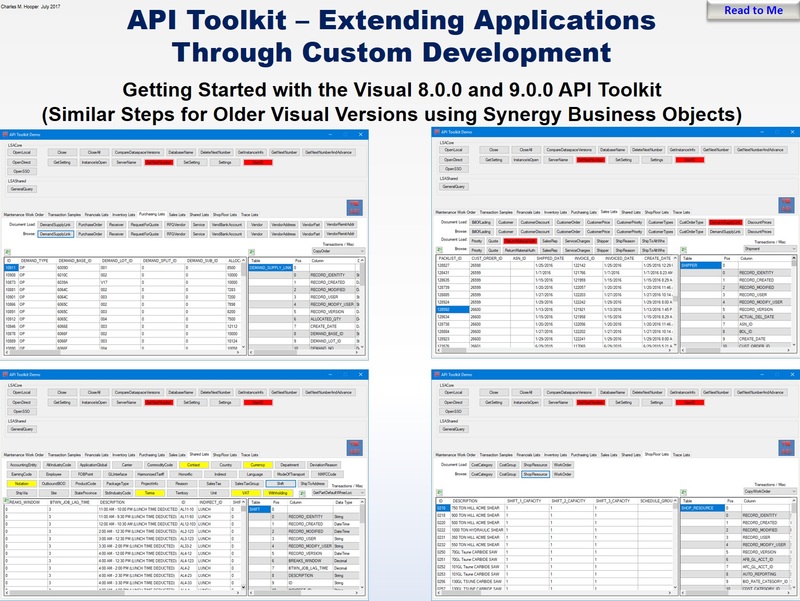 The earlier versions of the ERP system used where I work offered a COM interface to an API (application programming interface) that could be used for a variety of activities, such as creating inventory transactions, creating purchase orders, modifying customer orders, creating work orders to produce the parts ordered by the customers, and creating the shipping records when the completed parts ship to the customers. 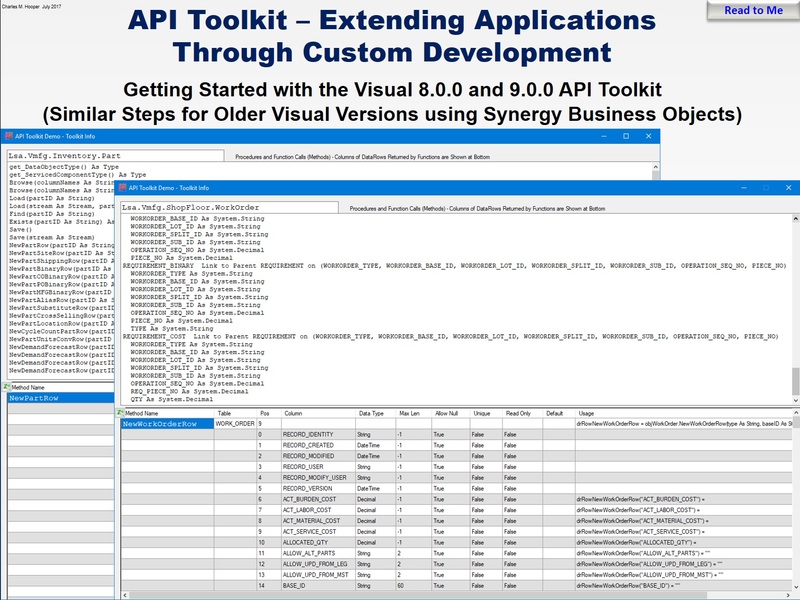 I relied heavily on this COM interface API with Visual Basic 6.0 (or Excel, or the macro language in the ERP system) to automate many processes that previously required manual data entry into the ERP system. 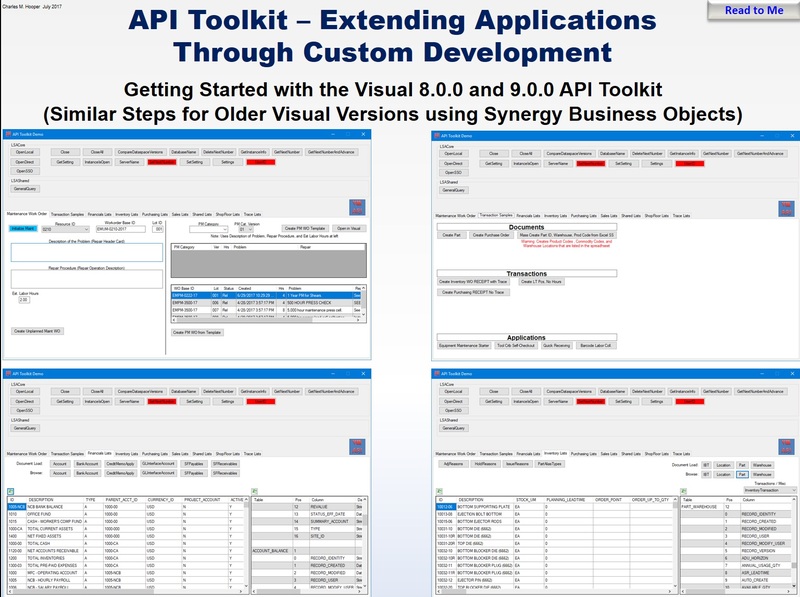 Fast forward a decade, or so, and the most recent versions of the ERP system offers only a .Net compatible API to replace the COM API. Not only is it a .Net compatible API, but it is also not compatible with Visual Studio 2005 (I thought that .Net was supposed to mark the end of DLL Hell?). Great, another opportunity to be forced into not using VB 6.0 for development. I am in the process of translating a MRP (material requirement planning) program that I created 10 to 12 years ago in VB 6.0 into C# to permit the use of the new .Net API. The program has some fairly complex programming logic that uses recursive programming to drill into the multi-level BOMs (bill of materials) – in some simple cases the multi-level BOM is associated with a single work order, while in more complex cases the multi-level BOM is associated with child, grandchild, great-grandchild, and great-great-grandchild work orders. The goal of the MRP program is to take the open customer orders in the ERP system, and to plan the top-level, child, grandchild, great-grandchild, and great-great-grandchild work orders and the associated purchased parts so that the purchased parts are available when needed by the work orders, the parts produced by the great-great-grandchild work orders are available when required by the great-grandchild work orders, the parts produced by the great-grandchild work orders are available when needed by the grandchild work orders, the parts produced by the grandchild work orders are available when required by the child work orders, the parts produced by the child work orders are available when required by the top-level work orders, and the parts produced by the top-level work orders are available on the dates specified in the customer order. The ideal batch (lot) quantities, of course, could be different at each of the work order levels, and the quantity due to the customer on a given date will also typically fluctuate from one day to the next. A simple illustration of the intended end-goal of the MRP program is shown in the picture below, which is the screen capture of another program that I wrote probably 15 years ago. 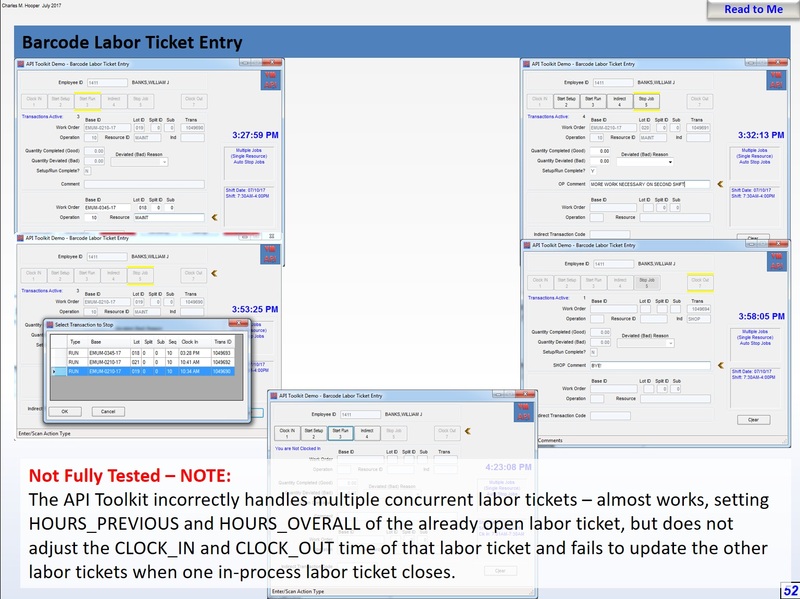 The customer orders (the demand) are shown on the left half of the screen capture, and the top-level work orders (the supply) are shown on the right half of the screen capture. The quantity ordered by the customer for shipment on a given day is variable, but the work order batch (lot) sizes are standardized by part ID. The intended goal is to permit the completion of the production of the ordered parts one weekday (Monday through Friday) earlier than the customer’s requested ship date (so that the part from a top-level work order could complete at 11:50 PM and then ship out to the customer at 5 AM the following morning). After using C# for a little while, for some reason the language reminds me of an odd, but very usable cross-pollination of Visual Basic 2.0 and Borland C++ that might have happened a bit over two decades ago. Running with sharp objects is not so bad, although there are still exceptions. 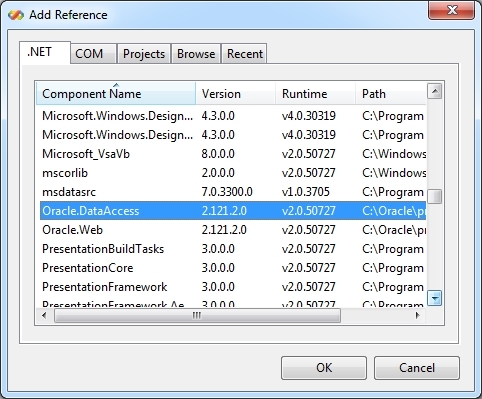 After that long introduction, I will show a quick demonstration of accessing Oracle database using Visual Basic 6.0 and C# (I will use the 2005 version of C# – the newer versions provide some alternate syntax that saves a few keystrokes while programming). 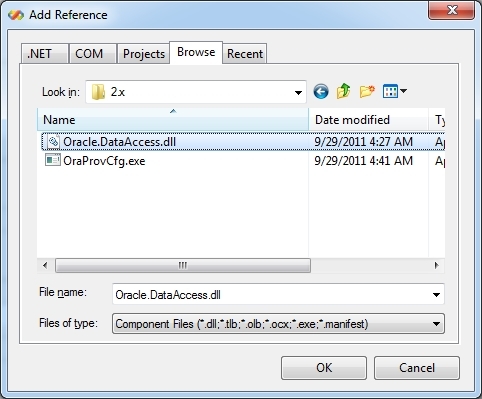 The VB 6.0 sample program uses Microsoft ADO (ActiveX Data Objects) and the Oracle Provider for OLE DB (an optional feature installed with the Oracle client, see this article). 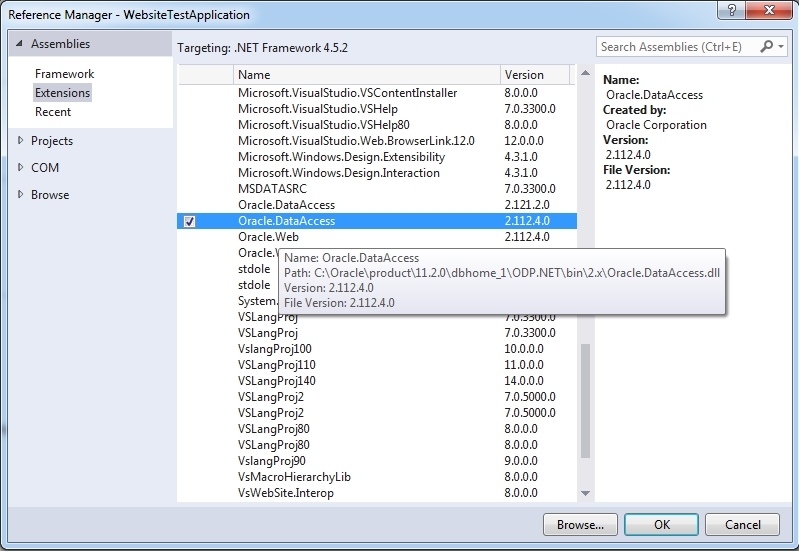 The C# sample program uses ODP.Net (Oracle Data Provider for .NET, an optional feature installed with the Oracle client, may also be installed later from a download). 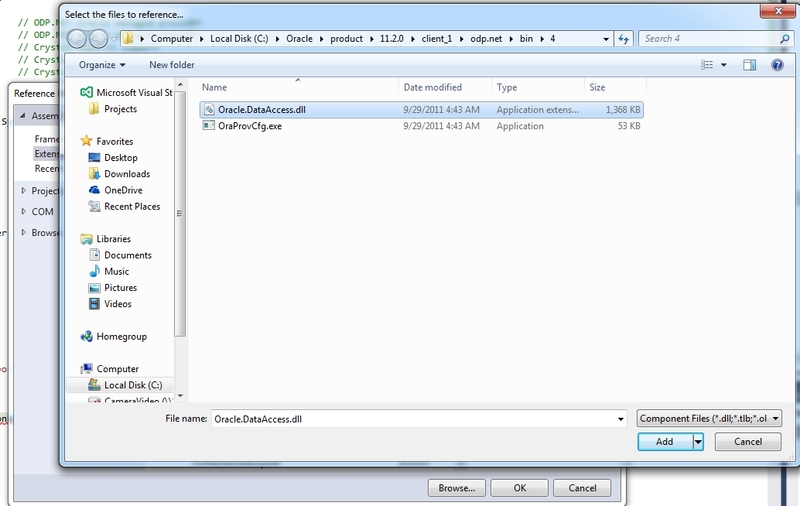 Open a database connection, and keep it open for the duration of the program, if possible. Use bind variables when possible, rather than specifying literals (constants) in the SQL statement that change from one execution to the next (there are a few exceptions to this rule). Doing so helps to minimize the performance penalty of excessive hard parses. Use a consistent format for all SQL statements submitted to the database – doing so maximizes the chances that a SQL statement will not need to be hard parsed when a similar SQL statement (possibly with just one extra space in the SQL statement) is already in Oracle’s library cache. Perform tasks once, if possible, rather than over and over again. Minimize the number of round trips to the database. If an operation may be executed within a loop in your program, sending requests to the database for each iteration through the loop, think outside the loop to try to construct a single SQL statement that accomplishes the same task. For instance, retrieve the required information into program variables either before or after the loop, or perform the processing within the database instance. Since I only want to create a single connection to the database, and maintain that connection for potential use within a couple of program forms or code modules, in VB 6.0 I will create a module with a Global variable to maintain the database connection (note that I did not include the New keyword before ADODB, while I have not personally performed a comparison of the performance, a couple of books indicate that including the New keyword incurs a performance penalty with every access of that variable). strConnection = "Provider=OraOLEDB.Oracle;Data Source=or1212;User ID=testuser;Password=testuser;FetchSize=100;"
strSQL = strSQL & "  ?)" 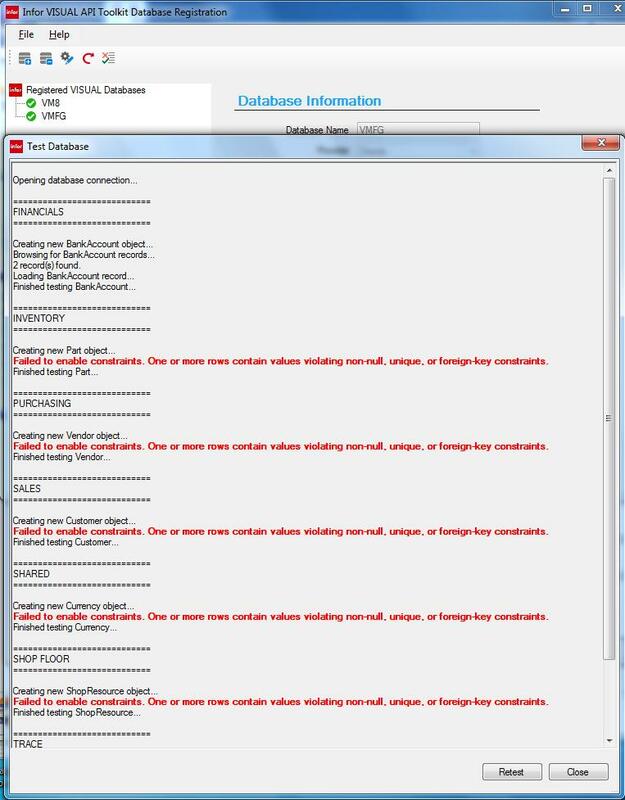 strSQL = strSQL & "  PL.PART_ID"
'dbConnection.Execute "ALTER SESSION SET EVENTS '10046 TRACE NAME CONTEXT FOREVER, LEVEL 4'"
MsgBox "SQL statement did not execute." MsgBox "No rows returned from the database." The output is identical, with the exception of the UNKNOWN column, which is a pseudo-random number between 0 and 99.9999. A job well done, with one complication. What is the complication? Think about the code logic for a minute before scrolling down. Thought about the complication? No, it is not that this blog article required approximately 11 hours to write (a large percentage of that time is due to WordPress’ auto-formatting of the article). The code violates the fifth bullet point that is listed at the start of the article. The insert into the PO_TRANS table could have been performed by sending a single SQL statement to the database, rather than using a while or Do While loop and performing an execution of the INSERT statement for each row in the resultset. If you would like to use a free version of C#, Microsoft offers the Express edition with no apparent licensing restrictions and a more powerful Community edition that carries licensing restrictions. Both versions may be downloaded from Microsoft’s website. “Microsoft” support scammer: I am calling about a problem with your computer. “Microsoft” support scammer: Yes, your laptop computer. Me: I don’t have a laptop computer. “Microsoft” support scammer: Oh, your Windows tower computer. Me: I don’t have a computer. The scammer gave up a little too easily – I had planned to ask her if she knew how to troubleshoot sticky key problems on my typewriter. That is the second Microsoft tech that gave up before we had a chance to troubleshoot the virtual machine.